The startup team from Solar Team Eindhoven are sending regular updates on their progress back to their home base in Eindhoven. They were the team that featured at the launch of Startupbootcamp HightechXL in June. Their reports are in Dutch, but the gist is obvious. 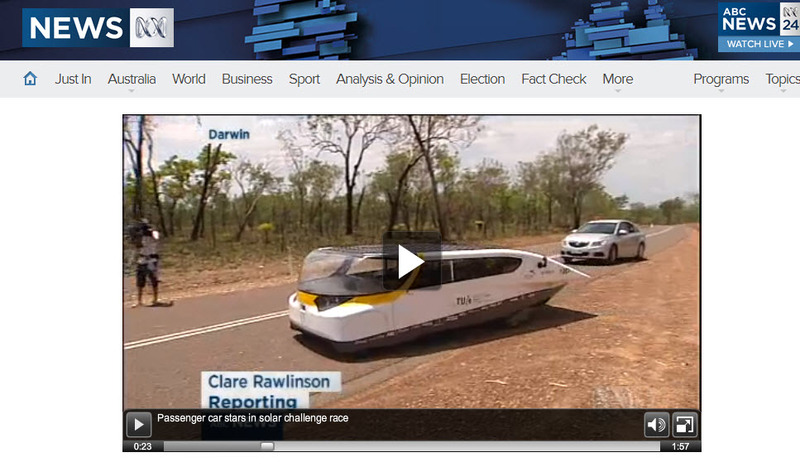 Their solar car designed to transport 4 people has been declared road-worthy by the Australian authorities. In preparation for the trip they have been travelling with the car in the opposite direction (i.e. 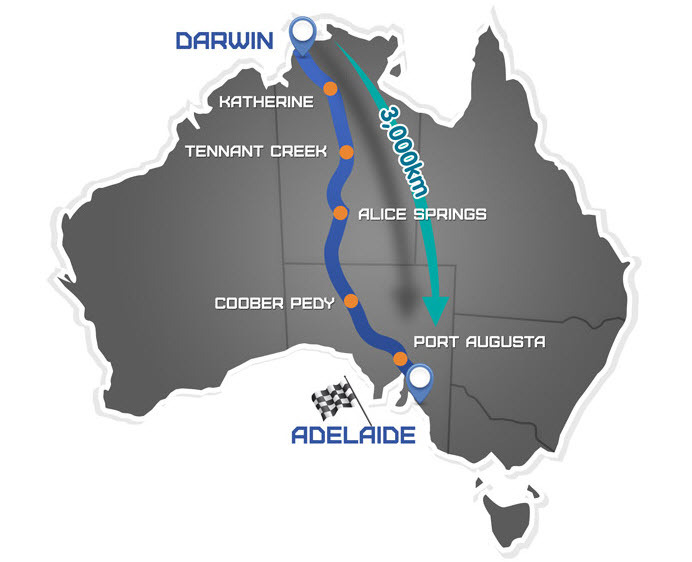 from Adelaide to Darwin) so as to familiarize themselves with the route. They have also met other colleagues from the Netherlands who are also participating in the race (University of Twente) but this team has entered into a different category.